The Edmonton Incline Railway was first proposed in April, 1905 by Joseph Hostyn and F. W. Hobson, on behalf of a number of supporters, including Donald Ross, William Henry Sheppard, Pete Anderson, Richard Secord, George Perry Blythe and Herbert J. Dawson. 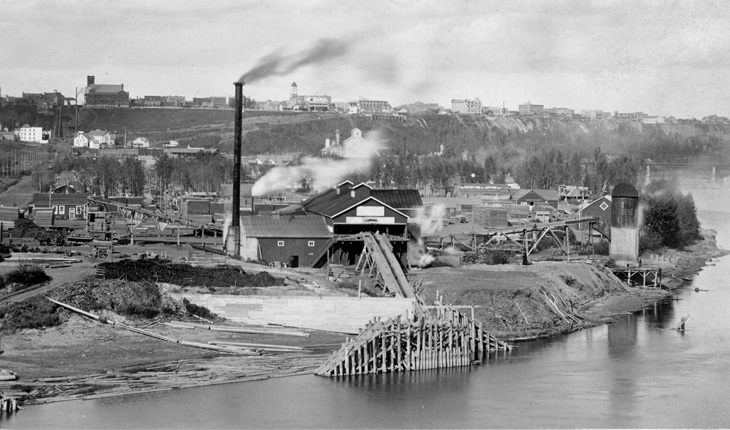 At that time, moving products from Strathcona and the river valley to Edmonton meant a trip over the North Saskatchewan River either by John Walter’s ferry or the Low Level Bridge, followed by a long march up McDougall Hill Road, which was especially treacherous when slippery and muddy due to rain and snow. For only a small price, fifteen cents per trip for automobiles and wagons and five cents per trip for pedestrians, the proposed railway was to transport individuals up and down McDougall Hill using two rail cars, moving in alternate directions. Passengers would begin their journey halfway up the hill on Victoria Avenue (100 Avenue) and First Street (101 Street), near the south side of the current Chateau Lacombe parking structure, to the top at First Street and College Avenue (Macdonald Drive). The railway would provide an easy way to move freight to customers for the many businesses located in the river valley communities, and was expected to create ample revenue for Edmonton. 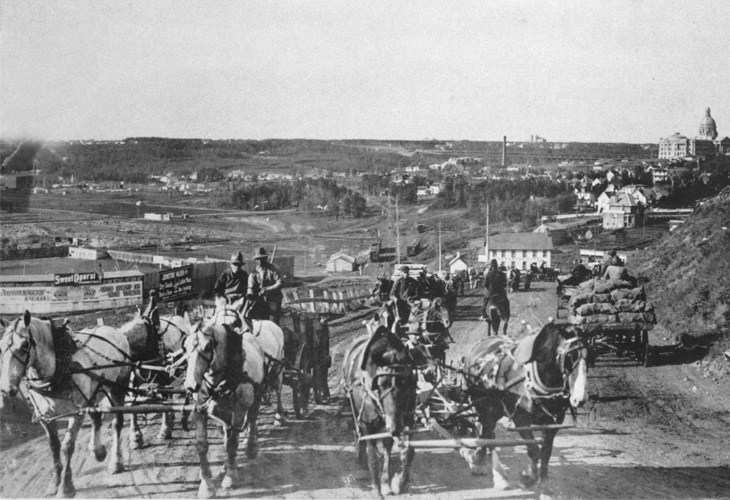 Businesses in Ross Flats, including Campbell & Ottewell, City Flour Mills, Edmonton Ice Company, Edmonton Brewing & Malting Company, Edmonton Concrete Company Ltd, and Huff’s Gravel Plant were ideally located to take advantage of the proposed railway, and many of the instigators of the project were also involved in these businesses.